A playful purple toned water colour. 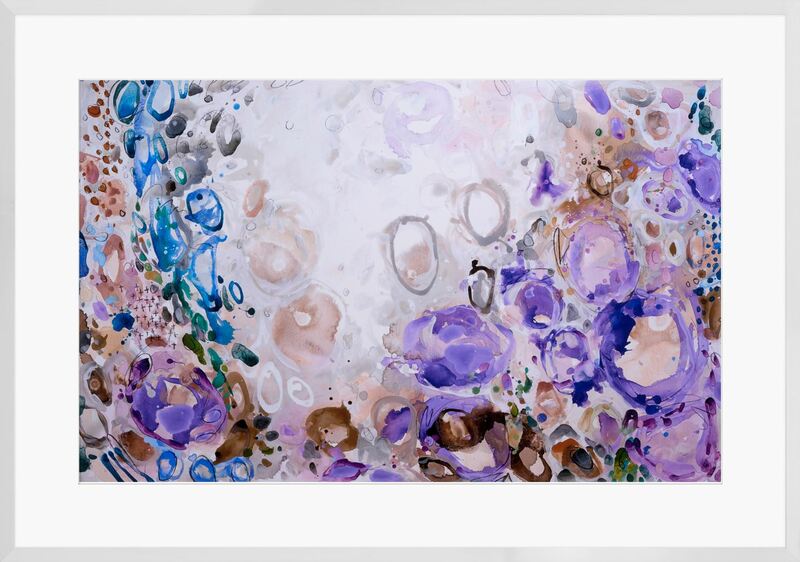 This playful and exuberant water colour uses saturated tones of royal purples and blues to create an abstract of unusual vitality. Framed in clean white profile with raised white matte.